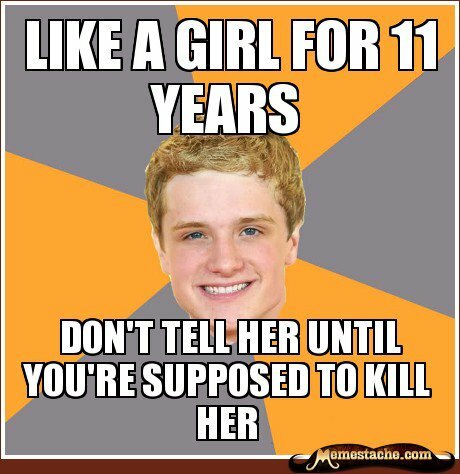 Peeta meme. . Wallpaper and background images in the The Hunger Games club tagged: peeta katniss funny. This The Hunger Games fan art contains ڈاؤن لوڈ ہونے والے, مزاحیہ کتاب, منگا, کارٹون, ہالی ووڈ, and کامک بُک. There might also be پورٹریٹ, آرچر, closeup, تصویر, and ہیڈشوٹ.